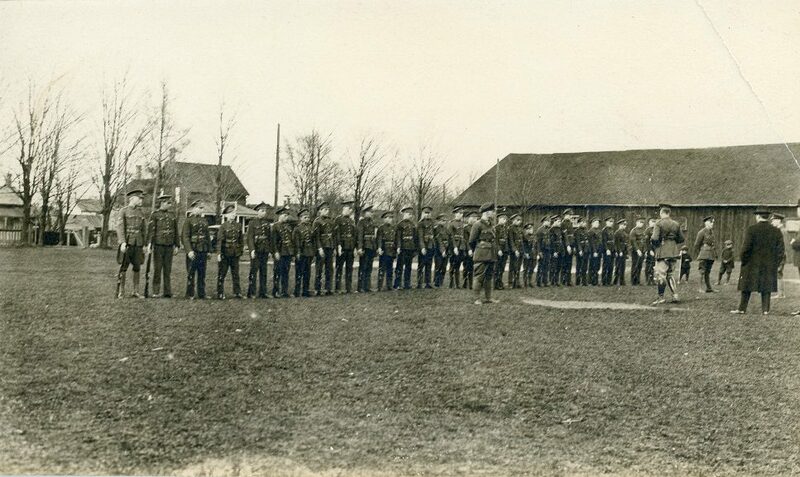 Once the Aurora Cadet program was established in 1912, the 12th Battalion was no longer the only one drilling in Town Park. The Cadet program reached Aurora through the efforts of the Aurora Public School principal J.G. McDonald and Captain W.H. Taylor of the B Company, 12th Regiment. Local school programs were considered to be the ideal location for training future armed forces. Military skills were taught to boys over the age of 12 and weekly Friday drills saw young cadets in their smart new uniforms marching in formation throughout the Park. Girls were also active members of the Cadets in Aurora albeit unofficially; legally, the Cadet program was only for boys. 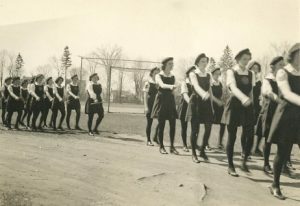 Although girls were not permitted to attend any of the overnight training camps this did not dampen their enthusiasm for the program and they actively participated in the multitude of events including weekly drills, annual inspections and parades, all of which centred around Town Park. The School Cadet Program lasted until 1965 when changing public attitudes towards military training in schools forced its cancellation. 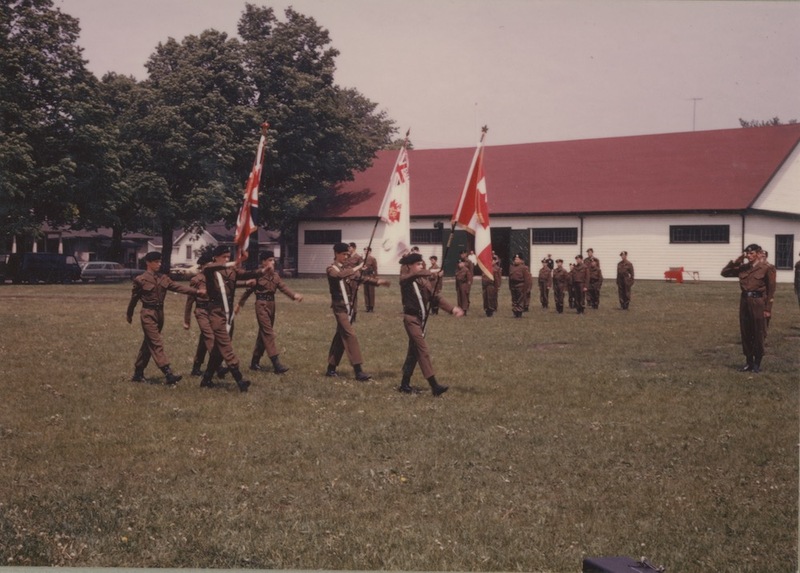 While involvement with the school system came to an end, the Cadet Corps continued under a new charter with the sponsorship of the Royal Canadian Legion and the Queen’s York Rangers. The revamped Cadet program for boys and girls continued their close association with Town Park. Many a fond memory was created for hundreds of boys and girls who passed through the program.